Quantum Flux is a measurement of photons used by plants to complete photosynthesis. Photosynthesis is driven only by specific wave lengths. Everyone knows that the suns light is used to grow plants. 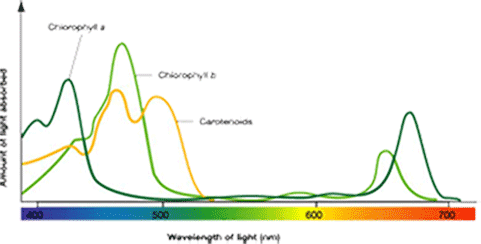 In sunlight all the wavelengths are present, but photosynthesis is a discriminating program within plant systems. Quantum Crops has recognized the shift of understanding and replaces the term photosynthesis, with Photon-Synthesis™. Quantum Flux under the above understanding, becomes the protocol by which leafs discriminate from the intense output of sunlight, down to systemic regulation of light values useful to Photon-Synthesis™ as process inputs. In the here and now, the largest percent of growers whether they are pros or hobbyists, are pretty much locked into the Irradiance model of energy. Industry suppliers are mostly submitting products and solutions to growers thinking that the irradiance model of all watt energy is good, is the correct model of design. Quantum Flux reverses industry momentum of the irradiance assumptions imposed in the market, completely. Instead of measuring watts of energy as irradiance like sunlight, Quantum Flux emphasis, changes to wavelengths of photons subtracted from full spectrum light, or inserted at specific values and mixed to provide plant photonsynthetic systems, wavelengths of continuous Photons. The Photons are subsequently admitted as catalysts within plants systems, triggering bio-chemical reactions which follow. Quantum Flux is a measurement of photons used by plants to complete photosynthesis.